Thank you for joining us for our Horror Bites: #NGHW Editor’s Pick blog tour. Just in case you’ve missed any of the sneak peeks or interviews, checkout this list. In the mood for some fun ghost tales from the wilds of Ireland? 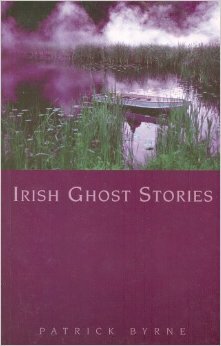 Check out Irish Ghost Stories by Patrick Byrne. Irish Ghost Stories contains stories that tell of spooky goings-on in almost every part of the country. They include the tales of the Wizard Earl of Kildare, the Scanlan Lights of Limerick, Buttoncap of Antrim, Maynooth College’s haunted room, Loftus Hall in Wexford, and an account of how the poet Fancis Ledwidge appeared to an old friend in County Meath. The country of Ireland is full of old castles with secret rooms, and while some of the stories are obvious figments of lively imaginations, there are other tales that cannot be easily explained. While many of these stories are quaint hearsay and exaggerated truths, they are fun to read. The location and historical details are interesting and probably mean more to those who live in the area. I especially like to read these aloud during a fireside gathering. They lend themselves to a storytelling sort of atmosphere and are fun to share. “Murder Hole”, which is a door on a high floor with no outlet but a 50 foot drop to your death. “Devil’s Horse”, which tells of a late night customer at a blacksmith. When the blacksmith is done, he’s paid in gold and the customer’s cloven feet walk away. After the customer is gone, the blacksmith finds what he thought was gold, is glass. This book also tells of ladies in white, banshees, and all the fun stuff ghost lovers have come to enjoy.